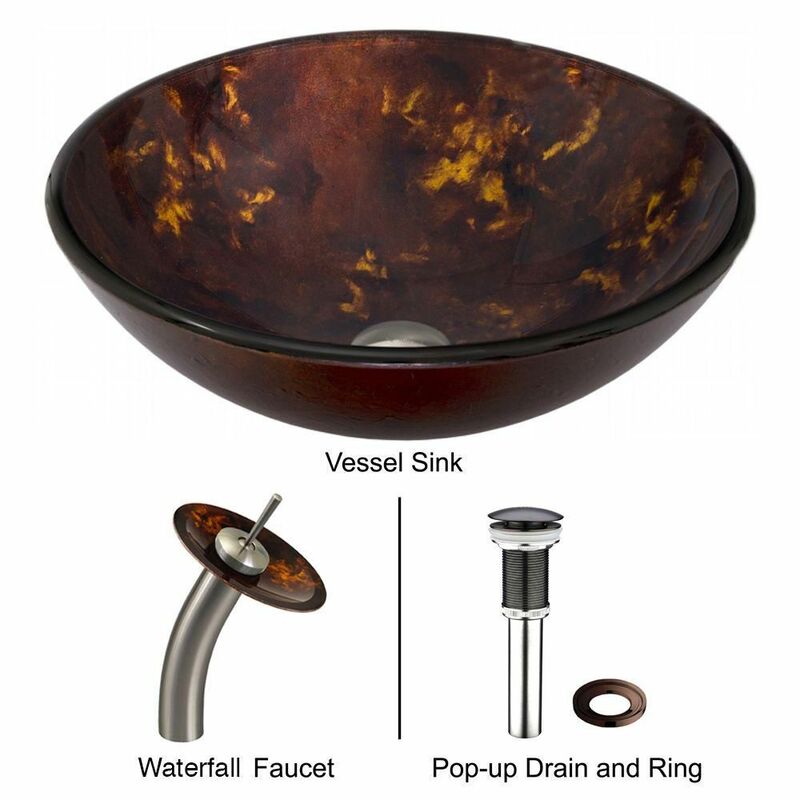 The VIGO Brown and Gold Fusion glass vessel sink and matching waterfall faucet set offers endless beauty. The VG07004 glass vessel bowl features random brown and gold tones combined with luxurious style and design. Handmade with possible unique and slight colour variations, so no two sinks are identical. Glass Vessel Sink in Brown and Gold Fusion with Waterfall Faucet in Brushed Nickel The VIGO Brown and Gold Fusion glass vessel sink and matching waterfall faucet set offers endless beauty. The VG07004 glass vessel bowl features random brown and gold tones combined with luxurious style and design. Handmade with possible unique and slight colour variations, so no two sinks are identical.